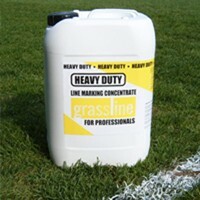 Heavy duty Line Marking Compound. A concentrate designed for use with a transfer wheel marking machine only. This paint propduces a very robust, dense and bright white line which is hard wearing with maximum durability.